25% of your tips are donated to ATX Safer Streets! I'm driving to support ATX Safer Streets. 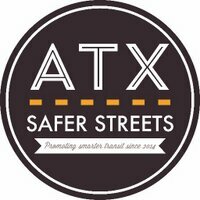 ATX Safer Streets is a coalition of concerned citizens advocating a better bus, train, and taxi system in Austin as well as improvements to our overnight parking system. They believe that a better transit structure is the key to reducing drunk drivers on the roads, as well as traffic congestion. On November 8, 2015 our Lyft Austin Weird community will be walking to raise funds for HIV prevention efforts and care services for our friends and neighbors. Click here to see our fundraising progress and support the cause! Support your driver and a cause! Tips aren't required when ride sharing, but a little tip can make a big difference for a driver AND a cause! Your tips support your driver and a cause! Please click here if you'd like to make an additional contribution directly to ATX Safer Streets. Please use the links below if you'd like to make an additional contribution to ATX Safer Streets. Vote for your favorite cause! Enter to win a $25 ride credit by voting for your favorite RideCares driver cause. Additionally, the cause with the most votes for the week receives a $25 donation. Check our Facebook Page every Monday to see the winners. Catch your first ride for free! Awesome ride? Love the cause? Share your thoughts!